The naming is important because it is very critical for readab­ility and if you can't read the code, you can't properly maintain it. Imagine a book that you don't unders­tand, and someone comes to you and asks you to fix the typos in it. Can you really do it, without unders­tanding it? cache invali­dation and naming things. This code is unnece­ssarily verbose. Everything has been declared in English words, which generally should be avoided. From the readab­ility and mainta­ina­bility perspe­ctive, this code is not good. This code is very concise and idiomatic and it's easy to understand and maintain. Imagine that this variable is declared in the package block of the ­­fil­e­ package. It's a package level variable and therefore it's in a larger scope. Don't use abbrev­iations there and don't mix caps in the name. fil­e­ starts with a lowercase letter. Abbrev­iations should have at least one vowel. Abbrev­iations should not split up plos­ive­/li­quid combin­ations but as plos­ive­/pl­osi­ve, for example, the ­ct in dict­ion­ary or pt in caption. Abbrev­iations should not have more than three conson­ants in a row and should usually end in a conson­ant, unless the vowel is needed for discri­min­ation, for example, alg and algo. All of the letters in the abbrev­iation should be present in the long form and in the same order, and need not appear in sequence in the long form, for example, recv and rece­ive. There are a few exceptions to the above rules for common, well-e­sta­blished forms.  ct and pt can be used for ­c­tion and ption if the abbrev­iation would be too short otherwise, for example, act and opt. There are also other types of prefixing, for example, the three-­letter prefixes used to distin­guish field names in the same database table. Examples would include cusID for customer ID and ordID for order ID. Those prefixes don't need to follow the same rules. An abbrev­iation should be less than or equal to half the length of the original form. Abbrev­iations should be at least three letters long. Abbrev­iations should not be whole words that mean something else. Abbrev­iations should not just consist of the prefix of a word, for example, sym for symbol or syl for syllable. Abbrev­iations shou­ldn't be ambigu­ous. However, if the names are different that no confus­ion can result, they are OK.